The Spring 2019 classes are free to Oxnard water customers but registration is required as space is limited. All classes will be held at the Oxnard Performing Arts & Convention Center. For more information, call (805) 200-5378 or email megan.hines@oxnard.org. 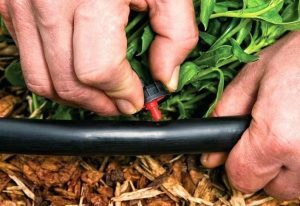 Learn tips and techniques for low-flow irrigation and participate in a hands-on drip irrigation experience you can use in the home landscape. All classes will be held at Oxnard Historic Farm Park at 1251 Gottfried Place, Oxnard.